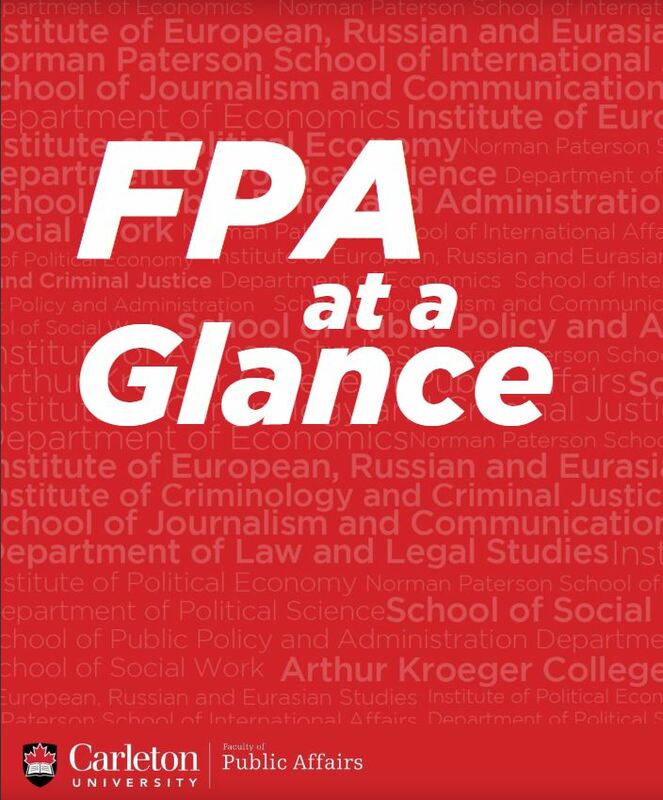 The Faculty of Public Affairs attracts students and scholars who seek to interact with and bring positive change to the community and world around them. Our graduates go on to work as journalists, politicians, economists, international aid workers, lawyers, social workers, and much more. The Faculty’s location in the national capital provides students with unparalleled access to the federal government, non-governmental organizations, the media, and national and international associations. Our objective is to prepare graduates to address regional and global challenges with the aim of fostering informed citizenship and building better democracy.